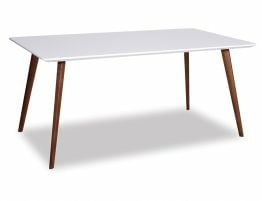 A white resin table top and angels cigar shaped walnut legs in solid American Ash create a deft counterbalance in light and dark, a chiaroscuro in modern furniture. 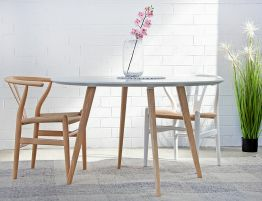 This modern dining table seats 4-6 diners and is perfect in spaces where a smaller table works best. 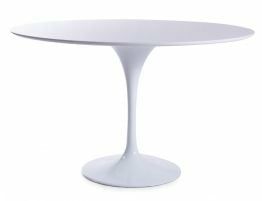 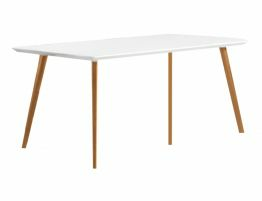 This modern dining table works great in a breakfast nook, a chic kitchen dining area or your refined, casual modern dining room. 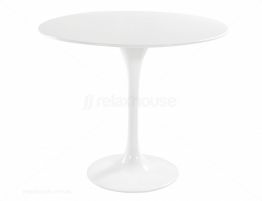 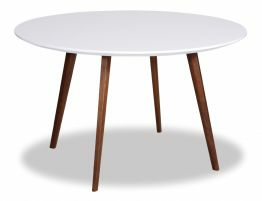 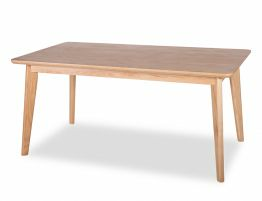 The Aura rectangle dining table offers the very best in designer furniture style.